Some species of insects look alike and escape detection by taxonomists as distinct species for many years. 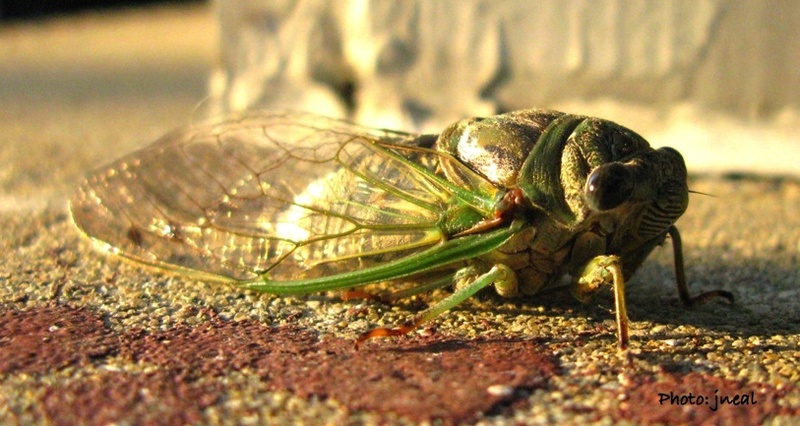 Males of cicada species that look alike may have very different calling songs. The male calling song is critical for attracting conspecific females. Thus, cicadas that have recently separated into distinct species can prevent hybrid matings if the calling songs of the males are distinct. Cole* listened to songs of Neotibicen dorsatus cicadas. Those in the east produced a rattling song. Those in the west produced a trembling song. Cole recorded songs form males of Neotibicen dorsatus and found two distinct forms of the song. Upon further investigation, morphological differences in the male genitalia and behavioral differences in males during calling. His investigation had uncovered a cryptic species. What was once considered two species is now know but be two distinct species. The eastern cicadas retain the species name dorsatus; the western populations now have a new species, tremulous. *JEFFREY A. COLE. 2008. A New Cryptic Species of Cicada Resembling Tibicen dorsatus Revealed by Calling Song (Hemiptera: Auchenorrhyncha: Cicadidae). Ann. Entomol. Soc. Am. 101(5): 815-823. This entry was posted in behavior, by jjneal, Taxonomy. Bookmark the permalink.